Feeling brave? 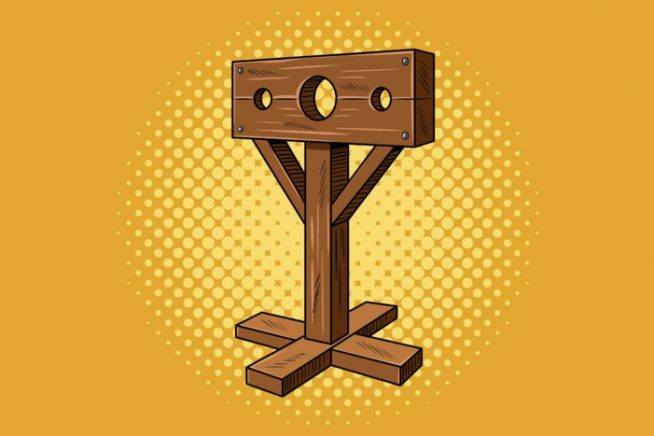 Then hold onto your courage and join author of Mold and the Poison Plot, Lorraine Gregory on a trip back to the Medieval Age to discover the truth about crime and punishment. Stand trial, endure torture and dish out some truly ghastly sentences. Fun, informative, interactive and only mildly dangerous! Don’t miss it! This event is part of Essex Book Festival’s Golden Age of Crime weekend in Southend-on-Sea. Click here for a list of all events taking place in Southend as part of the weekend. All Essex Book Festival YOUNG ESSEX events are Children’s University Learning Destinations – bring your Passport to Learning, get it stamped and enjoy your learning journey!